Brighton boss Chris Hughton could hand a debut to summer-signing Florin Andone against Southampton on Monday Night Football. The Romanian forward signed from Deportivo La Coruna in the summer for a fee understood to be £5.25m, but is yet to feature for his new side. However, Hughton confirmed Andone is set to play for the U23s on Friday as he recovers from a groin problem, and could be in line to feature against the Saints on Monday - live on Sky Sports Premier League. "We haven't seen enough of him," said Hughton. "He's been involved in pre-season so he's not one that's been injured throughout the pre-season period, but of course his time in the games has been limited. "He'll probably play 45 minutes tomorrow night (for the U23 team), possibly more and then we'll make a decision (about the Southampton game)." Andone's return will provide competition for the in-form Glenn Murray, who was singled out for praise by opposing manager Mark Hughes earlier on Thursday after scoring three goals in four Premier League games. Hughton added: "He has been good, Glenn. It's something that we're used to, he goes about his business the right way. He knows what his strengths are. "What we have at the moment, with Andone playing [on Friday for the U23s], is real good competition. I think that type of competition is good for all our team, and particularly for our front players. Glenn has benefitted from that." Meanwhile, Hughton believes Southampton striker Danny Ings will make for a "very difficult opponent" after a bright start to life on the south coast. 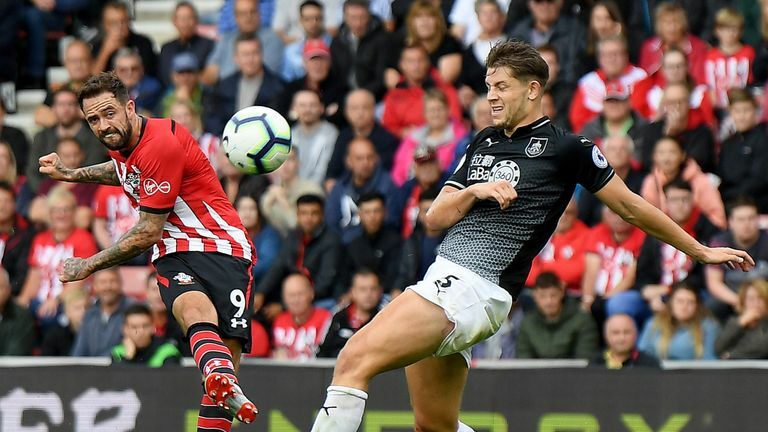 Ings joined Southampton on loan from Liverpool this summer ahead of a permanent move next year, and the 26-year-old has scored twice in four Premier League games this season, following three campaigns at Liverpool that were hampered by injuries. "What Danny brings is what we always knew he could. He's picked up a couple of big injuries, but there has never been any doubt about the ability that he's got," Hughton said. "Hence the reason why he went to Liverpool, hence the reason why at Liverpool they think so highly of him. For him it's about getting his career back on track. "He has certainly started the season really well, and has started the season like a player who has missed games and is desperate to play. That makes him a very difficult opponent. "He is benefitting from playing games, but I certainly believe if he was fit he would have played more games at Liverpool."